A masonry warehouse facility of 23,080/S.F. that is 100% leased through May 2020, with annual N.O.I. of $52,000. 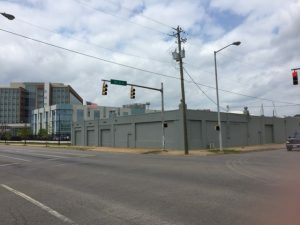 This property is only four blocks from Birmingham City Hall and adjacent to the U.S. Treasury Building. Additional land is available.